Realistic, hard body molded plastic decoys that, unlike others on the market, are fitted with MOJO's patented breast peg mounting system that also comes with a clothes pin adaptor allowing the mounting on just about any support, including limbs, wires, branches or support poles. 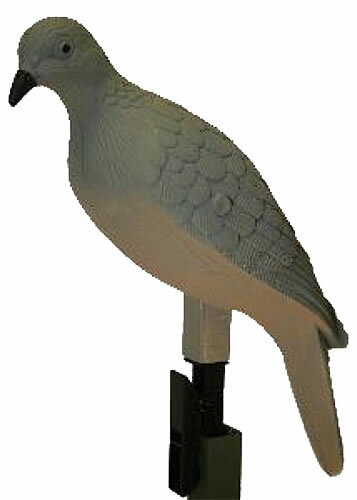 Adds true realism, works well with the popular MOJO motorized decoy. Includes 4 per package.